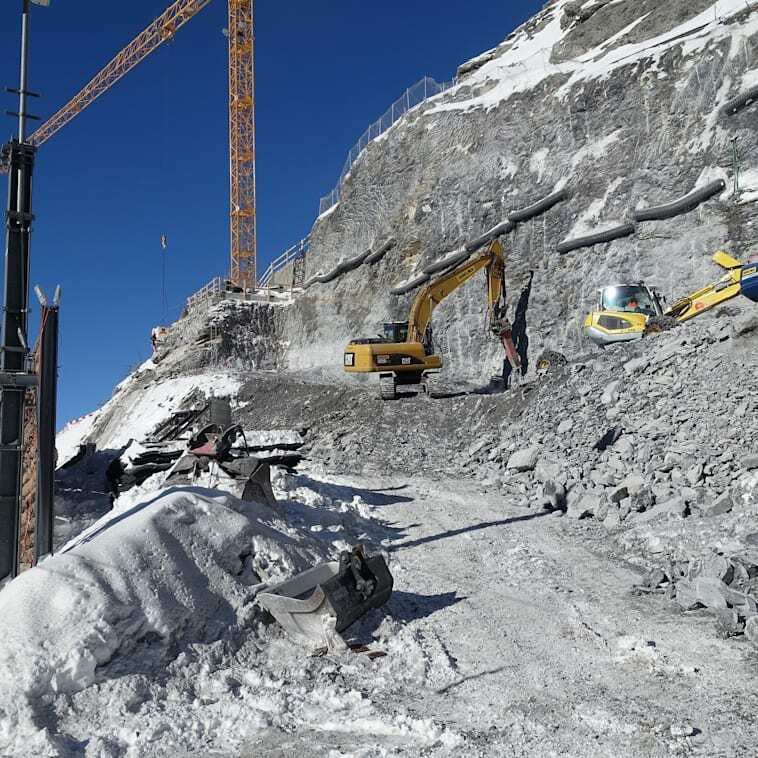 The Grindelwald-Männlichen Gondola Cableway and Jungfrau Railways are building a V-cableway to access both the Eigergletscher and Männlichen. 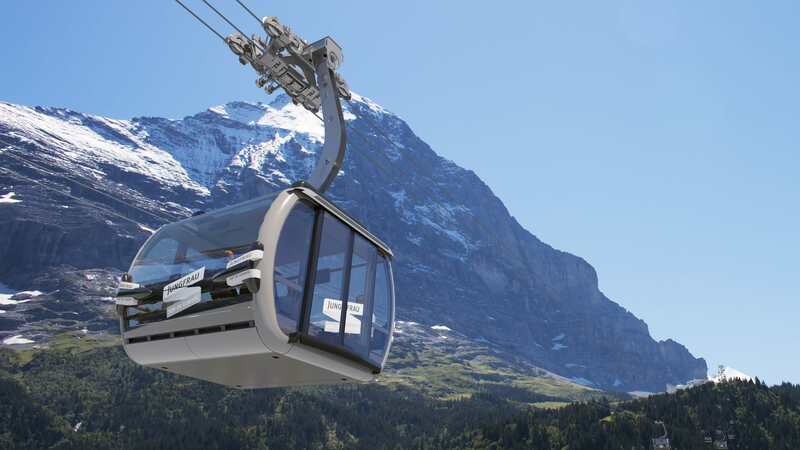 A tri-cable aerial cableway will travel to the Eigergletscher and ten-seater aerial gondolas will travel to Männlichen, both starting from a joint terminal in Grindelwald Grund. 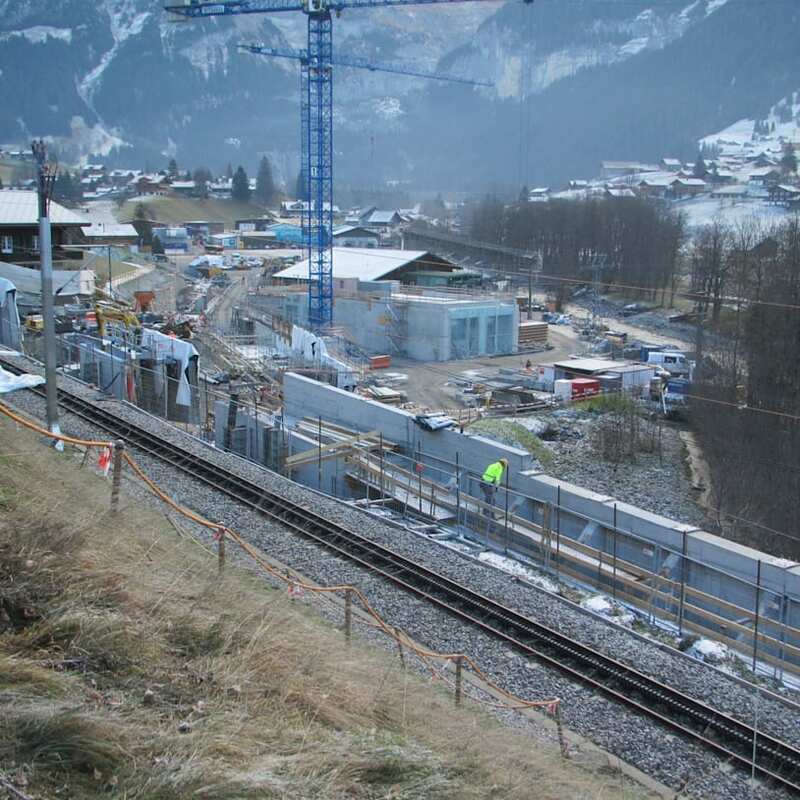 The V-cableway will have a link to public transport with the new Berner Oberland-Bahn (BOB) Rothenegg railway station. Travel time to the Jungfraujoch and the ski region will be significantly shortened by 47 minutes. With eight integrated elements, the V-cableway project is a project for the entire Jungfrau region, pursuing the main objectives of quality and future. The V-Cableway secures the medium and long term successful future of tourism throughout the entire Jungfrau region as a top year-round destination in Swiss tourism. It strengthens the competitiveness of the Jungfraujoch as a beacon known worldwide, and it helps the winter sports destination reach the top position in international competition. Does the Eigerexpress destroy the silhouette of the Eiger North Face? An ENHK expert opinion was commissioned. A site visit took place on 27 June 2014. The impact of the V-Cableway project on the affected federal property inventories was evaluated. 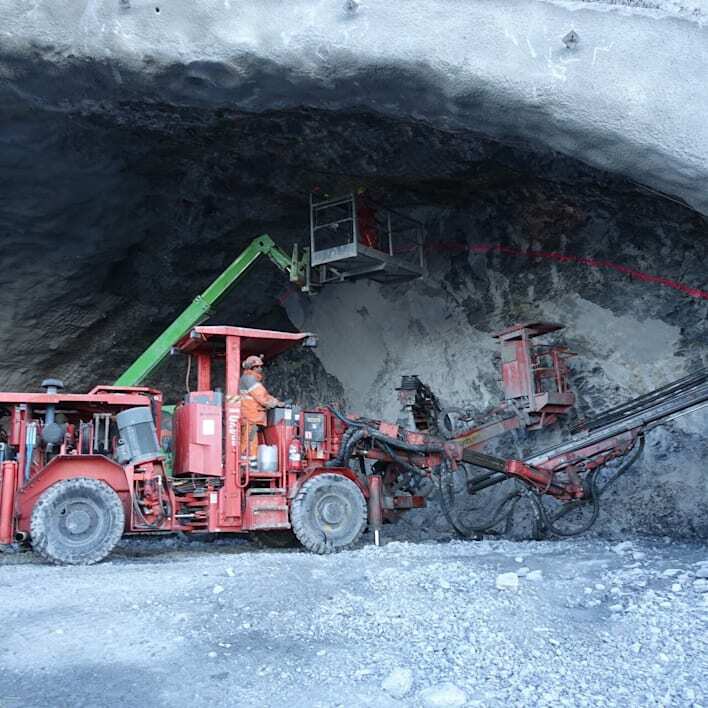 The result was incorporated into the plan approval process and is part of the total expenditure of the municipalities of Grindelwald and Lauterbrunnen. The ENHK came to the conclusion that the affected BLN property no. 1507/1706 would only be slightly impacted by the proposed tricable "Eigerexpress" gondola and the anticipated disposal site considering its stated conservation goals. In summary, the ENHK report maintains: "The new train will not or will not significantly detract from the appeal of the Eiger North Face for the vast majority of possible viewing locations. At some locations, especially in the Salzegg area, a severe impairment must be assumed. However, these selective interferences which are only relevant for relatively few viewers do not change the fact that the overall consideration is not assumed to be a serious but rather a slight impairment of the BLN property. The assessment has also taken into account that the new train is integrated into one of the oldest tourist regions in Switzerland, in a pre-existing structure that is intensively used and does not lead to excessive surface expansion for tourism use. 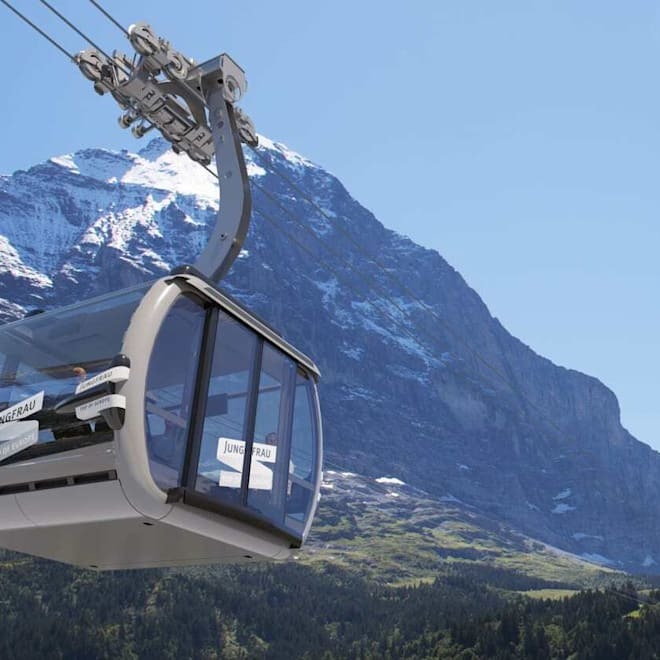 The new "Eigerexpress" tricable gondola should, among other things, provide relief and an appreciation of Kleine Scheidegg, which is included in the ISOS as a special case. However, suitable compensation is required for the selectively severe impairment. As stated above, the current nightly illumination of the Eigerwand station is disruptive. The ENHK therefore requests that in terms of a substitute alternative, the light emission from the Eigerwand station be shielded from the outside or at least minimized. If the light radiating outwards can not be fully shielded, lighting that is visible from outside should be turned off if not operationally necessary." Jungfrau Railways takes the stated comments from the ENHK seriously and will fulfil the necessary alternative measures. In particular, the unbundling and appreciation of Kleine Scheidegg is very important to the Jungfrau Railways. The light emissions from the Eigerwand station will also be checked in order to reduce this to a minimum. The Eigerexpress passes along the foot of the Eiger North Face and significantly improves the Eigerness experience. The ride in the cabin of the tricable gondola with 28 seats and panoramic view of the Eiger North Face offers a spectacular travel experience for passengers. The ability to switch between the tricable gondola and cog railway for the ascent and descent signifies a unique advantage over the competition. 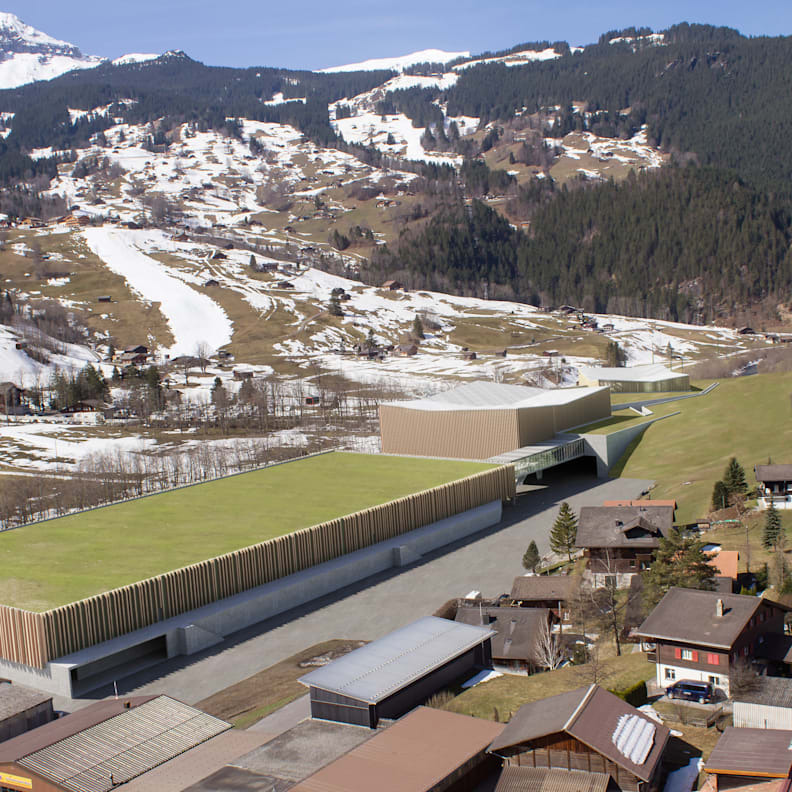 Both the terminal and the car park at Grindelwald Grund with the green roof areas as well as the Eigergletscher station were integrated perfectly into the landscape in terms of colour and materials used. The route optimally incorporates the structure and/or relief of the landscape. The tricable gondola does not require an intermediate station, which can avoid a massive intervention in the landscape. How the traffic situation will be improved? Alongside a considerable reduction in travel time, the V-Bahn project also provides for the customised adjustment of the operations of Berner Oberland-Bahn (BOB), Wengernalpbahn (WAB) and Jungfraubahn (JB) in line with demand and the latest technology. 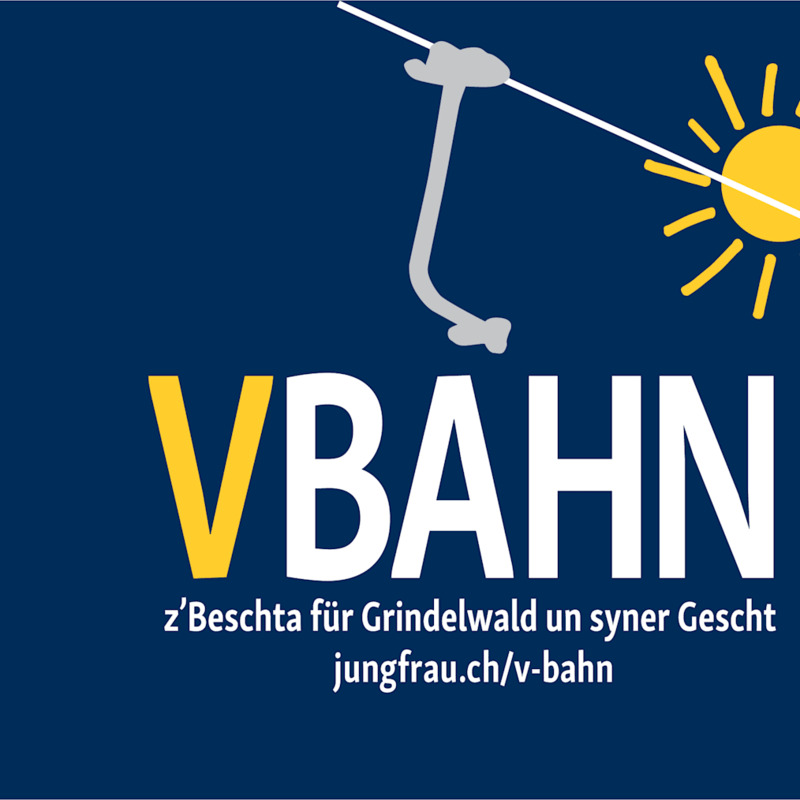 The direct connection of the V-Bahn to public transport and the capacity increase thanks to the new rolling stock at Berner Oberland-Bahn (valley railway on the shuttle route from Interlaken Ost to Grindelwald) will increase the attractiveness of the railway and shift traffic from road to rail. Thanks to the realisation of the V-Bahn project, particularly the commissioning of the three-cable "Eigerexpress", central junctions will be broken up and long-term traffic and parking problems solved. A new multi-storey car park as well as a constantly up-to-date parking guidance system with real-time info will help to ensure this. A customer information system in all transport will enable targeted visitor flow management. The new "Eigerexpress" cableway is a measure to increase quality, improve current bottlenecks and better distribute visitors. A seat reservation system will ensure realisation. 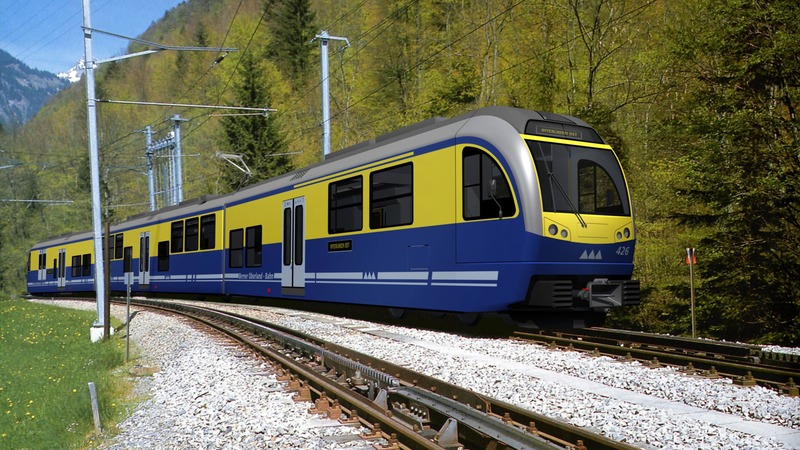 The V-Bahn will create a direct connection to public transport for the Gondelbahn Grindelwald-Männlichen (GGM) and the Eigerexpress. 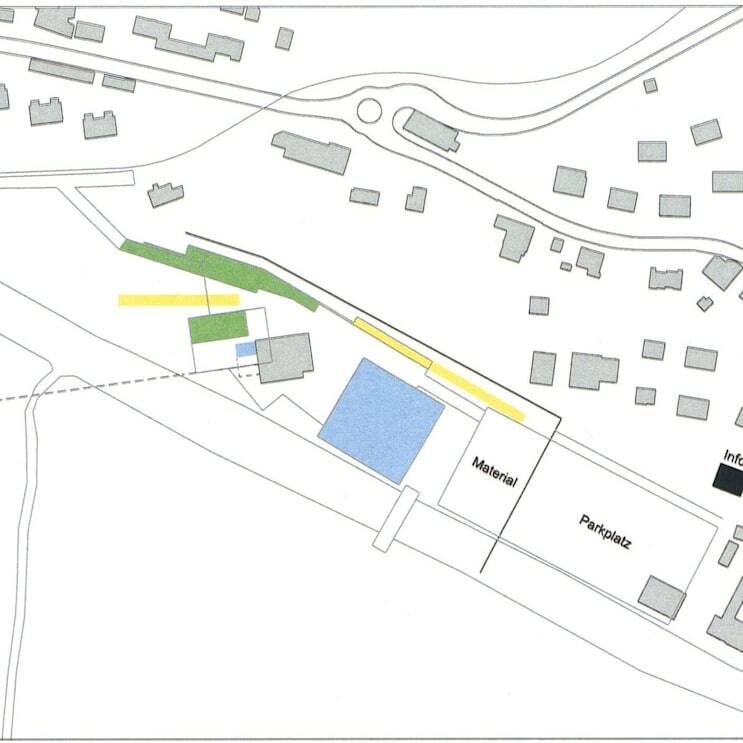 This will be realised by means of the new Berner Oberland-Bahn station Grindelwald Terminal with direct access to the terminal for the two planned cableways. 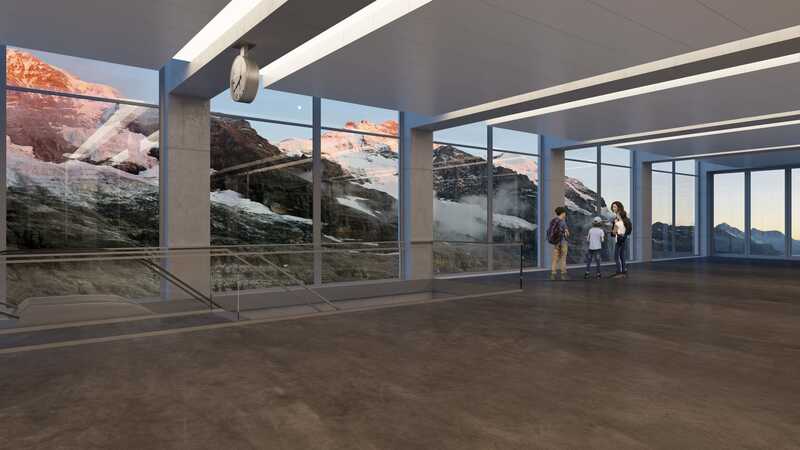 At the Terminal Grindelwald, the three-cable cableway will be linked to public transport and will also enjoy direct access to a multi-storey car park with around 1,000 parking spaces. What does the project bring to Grindelwald and the entire Jungfrau Region? The project offers an improvement in quality for the guest. Crucial to this is the modernisation of the WAB as well as the new tricable gondola and the modern 10-person GGM gondola from a common terminal in Grindelwald Grund. This also increases awareness in the international competitive market and leads to the year-round acquisition of new visitors. The project creates a terminal with shops and direct public transport connection. This terminal is formed by the new Grindelwald Terminal BOB stop along with the valley stations for the ten-person gondola to Männlichen and the tricable gondola to the Eiger Glacier. There are a variety of shops in the terminal that include a sports store, bar, kiosk and food corner. In addition, there is equipment service and adjustment options for ski equipment with round about 2'000 storage spaces. The businesses create new jobs. 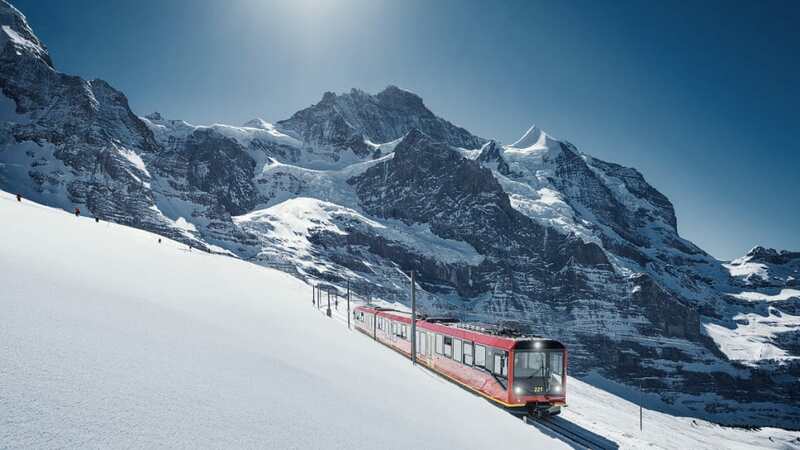 The shorter travel time and the direct public transport connection makes it possible to combine the trip to the Jungfraujoch with other destinations such as First, Schynige Platte or Harder Kulm. 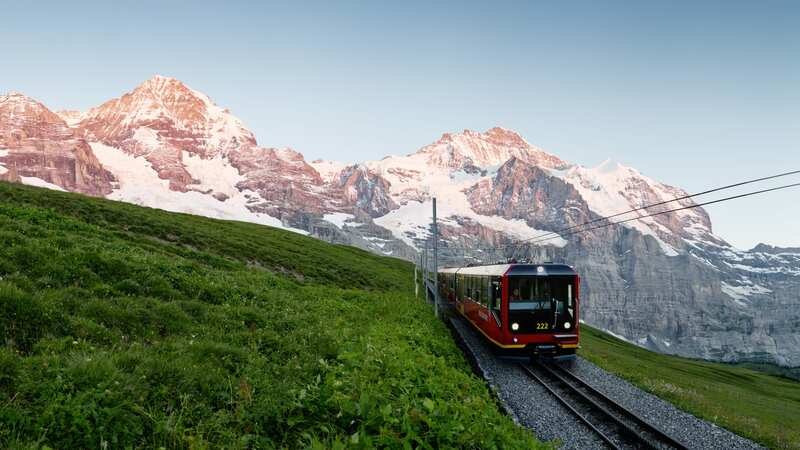 The improved public transport connection makes Grindelwald, Wengen and the entire Jungfrau Region more attractive for day trippers and overnight guests in the summer and winter. The realisation of the new railways creates new products, makes the entire region more attractive, and provides an increased level of awareness. This strengthens the holiday resorts in summer and winter, particularly the hotel industry, non-hotel accommodation and commerce. This can improve the long-term competitiveness and attractiveness as a winter sports destination. The new trains ensure that the ski resort has filling times that meet the international standard. The use of snow-covered valley slopes for activities is attractive to winter sports enthusiasts, thanks to the reduced waiting times and rapid transport back up the mountain. Wengen is more accessible with the new WAB rolling stock and the Wengen shuttle, and it is thereby is more attractive to holiday visitors and locals alike. The tour with the longest continuous cog railway in the world is maintained. It becomes even more attractive with the acquisition of new panoramic trains by the WAB. The external company Z-Analyse carried out market research focusing on the Jungfraujoch from March 2013 to March 2014. According to the study, 68% of all Joch guests enjoy lodging in the Jungfrau region. Subtracting the number of Swiss tourists (mostly day trippers), the regional overnight rate even managed to reach 80%. What added value does the project create? 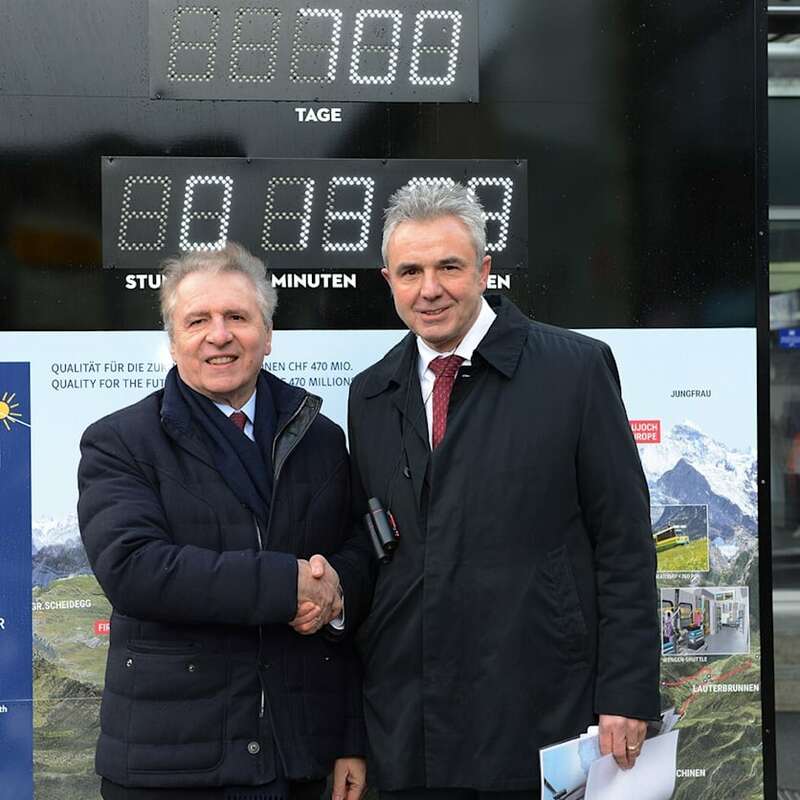 The final report from Ecoplan commissioned by the Canton of Bern on the "Economic impact of the V-Cableway project in the Canton of Bern" shows that the project is of great economic significance to the Jungfrau Region and particularly Grindelwald. A significantly positive impact on employment and value creation is expected in the construction phase as well as during the operational phase. The project creates significant business potential for the regional construction industry. The region, especially Grindelwald, can anticipate potential contracts totalling CHF 57 million. 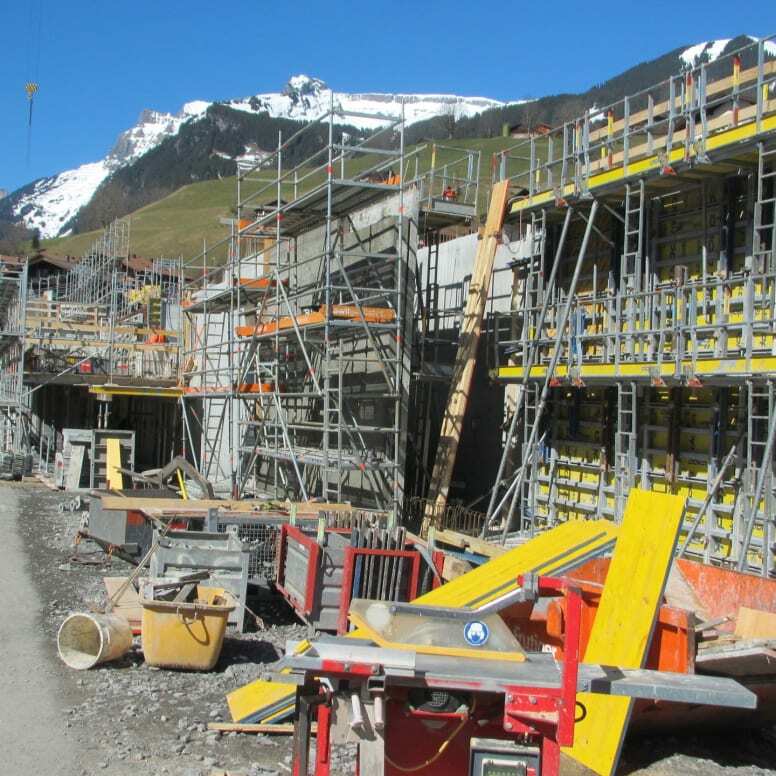 During the three-year construction phase, CHF 7 million of value will be created each year in Grindelwald. The project creates or safeguards 61 full-time positions during this time. Local businesses will also benefit. There will be additional demand in the catering and hospitality industry from the foreign construction workers staying in the area. Between 182 and 592 jobs can be secured or created in Grindelwald with the project. The resulting value added is between 30 and 67 million Swiss francs. 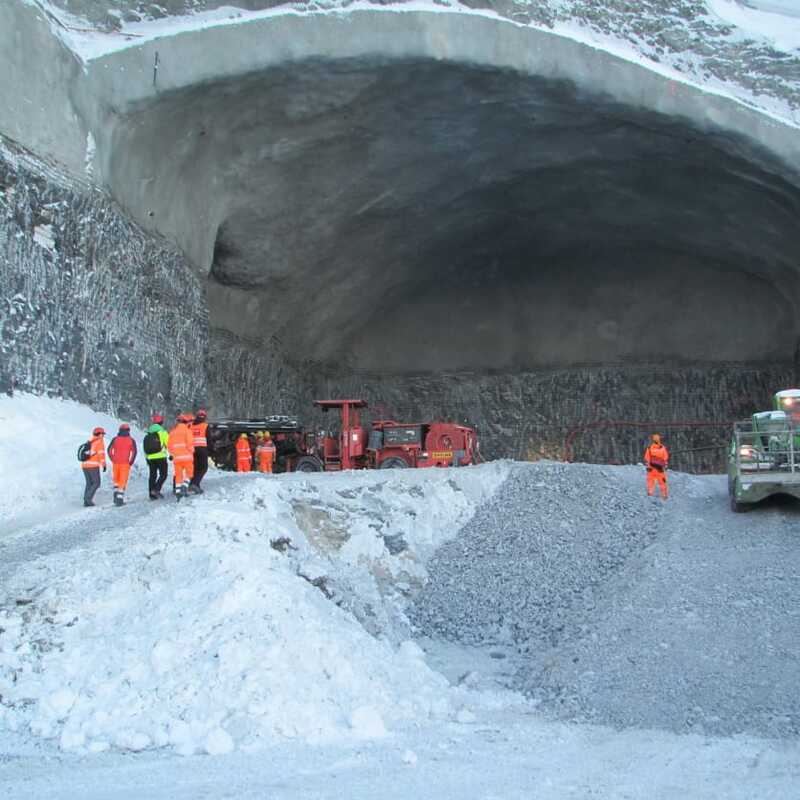 The project generates total annual recurring tax revenues of 11 to 14.6 million Swiss francs. Of this amount, around CHF 1.7 to 2.5 million will stay in the town of Grindelwald and approximately CHF 1 million in the rest of the Jungfrau Region. Between 342 and 776 new jobs will be created, and there will be 53 to 105 million Swiss francs of added value generated throughout the Canton of Bern. The project will bring considerable additional, annually recurring tax revenues between 11 and 14.6 million Swiss francs. Of these revenues, 6.8 to 9.8 million will remain in the Canton of Bern (canton and municipalities). The V-Cableway project is an essential component for allowing Grindelwald and the entire region to position itself as a premium destination. There may be things in destination development that provide an important initial impulse, but they are not achieved alone. It is a coordinated and proactive approach required of all persons and companies involved in tourism. The sightseeing tourism to the Jungfraujoch is an important pillar for tourism in the entire Jungfrau Region. A survey of tour operators has shown that in 7 of 10 tour operators, over 80% of all customers travel to the region primarily because of the Jungfraujoch. In the case Asian tour operators, it is 9 out of 10. 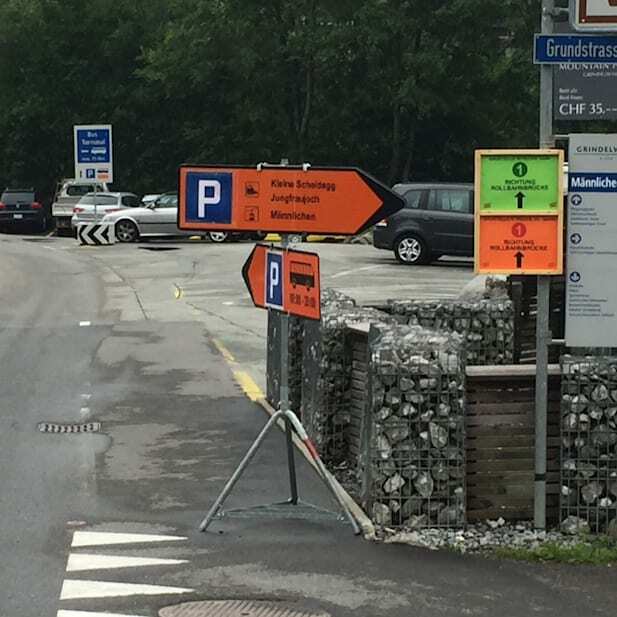 Increased bus traffic is to be expected from the project due to the additional visitors to the Jungfraujoch. This is especially true for day trippers in the winter, but Jungfraujoch visitors will also result in increased railway traffic. Due to the reduction in motorized individual transport, there will be less traffic on the roads. The significantly improved access to public transport via the new BOB Grindelwald Terminal station disproportionately increases railway attractiveness. Strengthening of competitiveness as winter and summer areas as well as the "Top of Europe" secures and increases the business opportunities in Grindelwald. Thanks to the new trains, Grindelwald will become significantly more attractive as a destination. The new terminal offers new business spaces as part of the service chain with direct access to the flow of customers. How does the future of the WAB look? The WAB is an important part of the overall project. To contractually govern the preservation of the WAB, the following conditions were determined together with the mountain community of Wärgistal: A 365-day operation that reflects today's ½-hour timetable intervals and hourly intervals in the shoulder season. Connection of operations to/from Grindelwald village with connection to the BOB. For legal protection, the right of passage for the tricable gondola is only valid if the WAB maintains regularly scheduled train service between the Grindelwald railway station and Kleine Scheidegg. As compensation for the encroachment rights, the community will receive CHF 250,000 annually (in addition to the previous compensation for winter sports of around 120,000). Sledge/evening trips: The parties coordinate sledge/evening trips as well as the hours of operation of the Alpiglen and Brandegg mountain restaurants with each other. This offering will be maintained as long as there is sufficient demand. With the investments in the V-Cableway, year-round operation will be safeguarded, and the GGM and WAB will be maintained. With the updates to the rolling stock for the WAB and the Jungfrau Railway, the quality will improve and standing room capacity will drop. Wengen will become more accessible and be made attractive to holiday visitors by the Wengen shuttle. Six new panorama trains are in operation on the Lauterbrunnen side since 2015. During the high season, the WAB runs every half hour. On the Grindelwald side, the capacity with three trains is 300 persons/hour. Four trains run on the Wengen side at a capacity of 760 persons/hour. The freight traffic to Brandegg, Alpiglen and Kleine Scheidegg runs via the WAB. 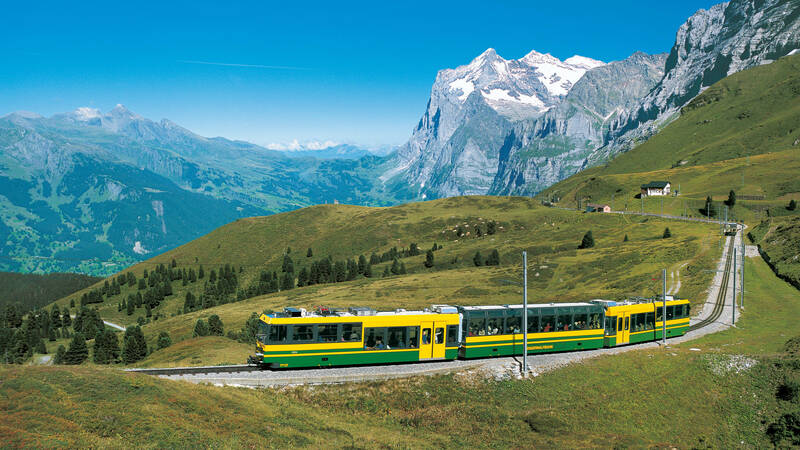 The Eigerexpress allows Grindelwald Grund and the Kleine Scheidegg to reduce congestion. 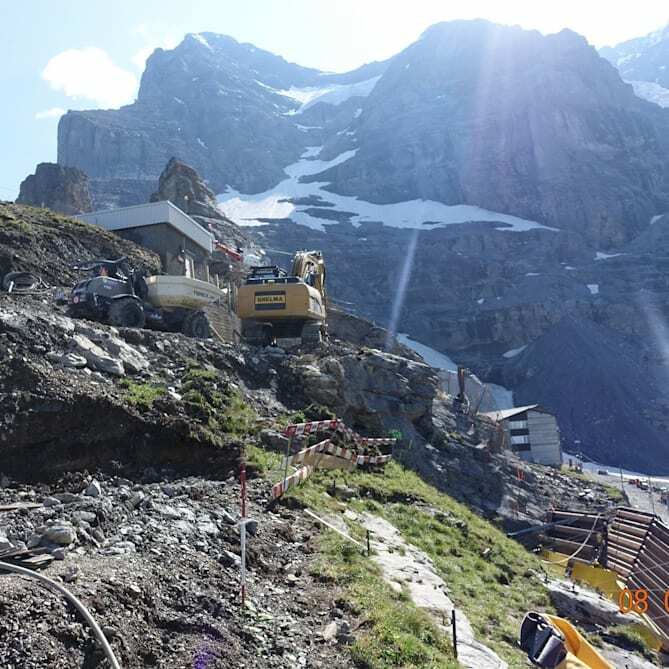 Kleine Scheidegg will become more attractive for day trippers and hikers through the project, and the WAB will be a qualitatively attractive means of transport. What does the operational concept look like? Due to the V-Cableway and station Grindelwald Terminal of the BOB, travel times will be reduced for passengers. The BOB, WAB and JB are optimally adapted to demand and the latest technology. The V-Cableway operational concept shows how the future flow of pedestrian traffic and transport of goods will be realized. The operational concept ensures optimal connections between the BOB, the V-Cableway, the WAB and the JB. A quarter-hour timetable window for the V-Cableway ensures streamlined transfers between cable cars and trains. Thanks to the V-Cableway, the station Grindelwald Terminal of the BOB and JB Premium, travel times within the Jungfrau Region will be significantly reduced. The Bernese Oberland Railway runs every half hour throughout the year during the operating hours of the Eigerexpress. Six new multiple units and three new low-floor railcars have been in operation since 2017. Thus, the BOB to Grindelwald can offer around 900 seats and the one to Lauterbrunnen around 580 seats per hour. The WAB has six new panoramic trains in operation on the Lauterbrunnen – Kleine Scheidegg route since 2015. During the high season, the WAB runs every half hour. On the Grindelwald side, the capacity with three trains is 300 persons/hour. Four trains run on the Wengen side at a capacity of 760 persons/hour. The freight traffic to Brandegg, Alpiglen and Kleine Scheidegg runs via the WAB. 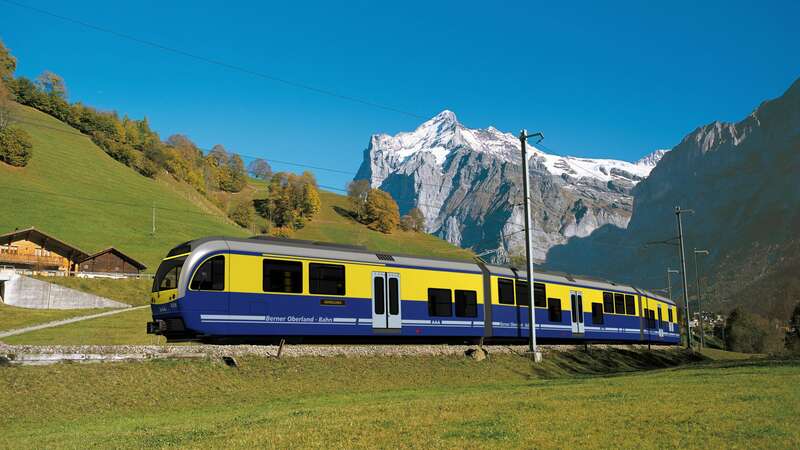 As of August 2016, four new low-floor railcars will be in operation on the Jungfrau Railway. The JB service changes depending on the season. The timetable depends on the service of the feeder lifts. 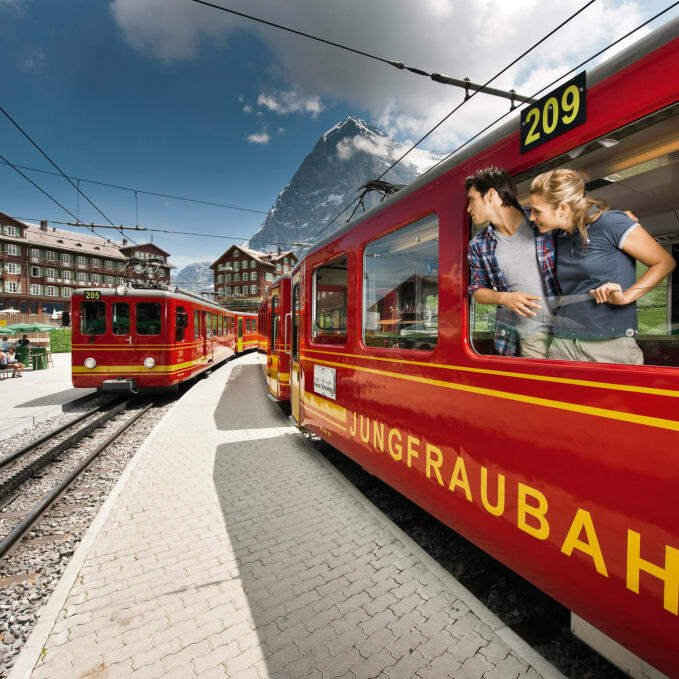 If the Eigerexpress is in operation, then the trains run between the Eiger Glacier and Jungfraujoch every half hour. From Kleine Scheidegg the timetable is adjusted to demand. 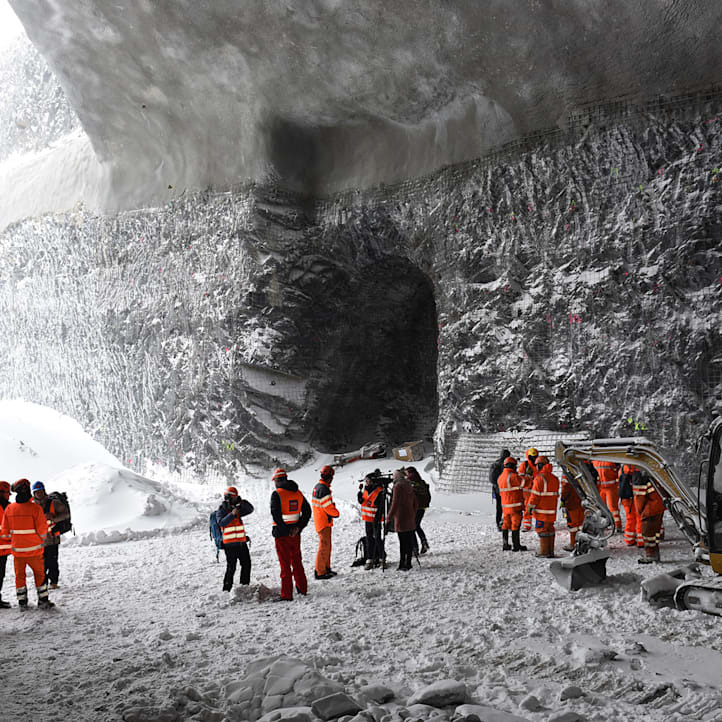 The capacity was increased from 888 to 1,180 persons hour (to Jungfraujoch) to avoid standing places. 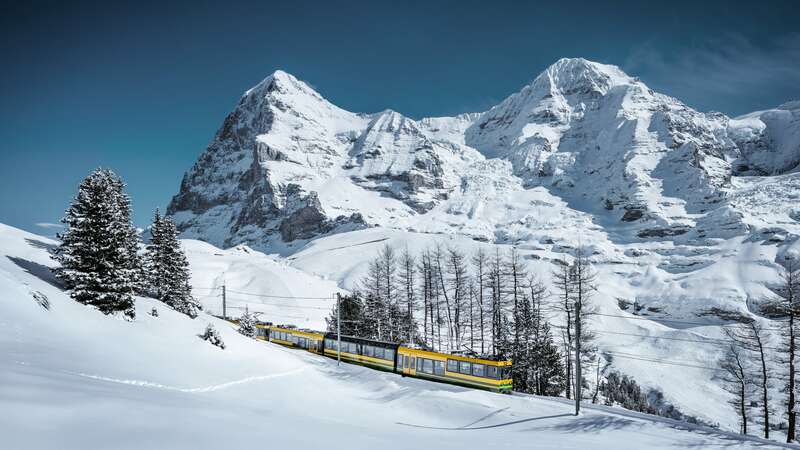 Two trains will shuttle in the 60-minute circuit between Eigergletscher and the Jungfraujoch, three trains in the 90-minute circuit between Kleine Scheidegg and the Jungfraujoch. The reduction in travel time of 30 minutes from Lauterbrunnen and more than one hour from Grindelwald allows a longer stay on the Jungfraujoch and an optimal distribution of visitors. With 44 cabins each with 28 seats, the Eiger Express has a capacity of 2400 persons/hour and brings passengers to the Eiger Glacier in 15 minutes. The short travel time makes the descents in winter into winter sports areas and allows a significant reduction in travel time to the Jungfraujoch. The freight transport to Eigergletscher and Jungfraujoch is largely handled by the tricable gondola. 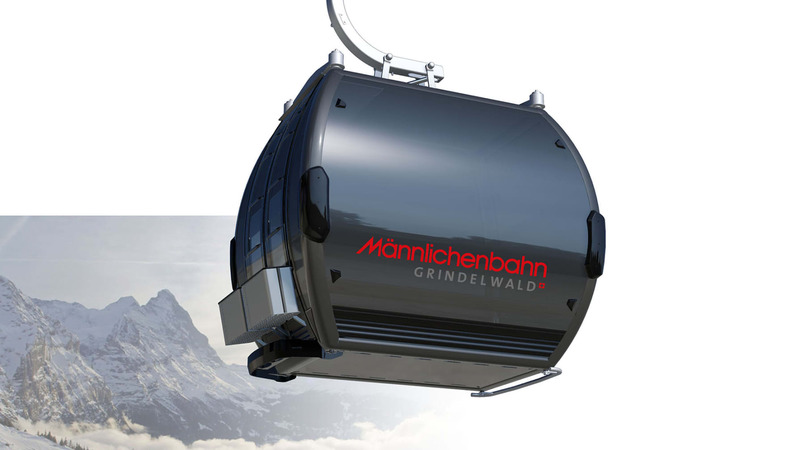 The new 10-person Grindelwald-Männlichen gondola can transport 1,800 guests per hour. The journey time has been reduced from 30 to 19 minutes. Goods are transported in standard wire mesh cars in the gondolas or on euro-pallets in the loadbars. The station Grindelwald Terminal connects the V-Cableway terminal to public transport. There are various shops, restaurants and ski depots in the terminal. There are separate entrances for groups and individuals. The tricable gondola will also separate individual travellers going to the Jungfraujoch and those only going to Eigergletscher. What incentives are created for holiday guests? The WAB in Grindelwald Grund is completely separated from tour groups. The groups board the WAB in Grindelwald village or take the Eigerexpress. Only individual guests board in Grund. The goal is to turn international sightseeing tourists into overnight guests. Thanks to the shorter travel time to the Jungfraujoch, there is sufficient time to take another mountain journey such as First. This leads to them spending more time in the region. The overnight guest finds attractive seating on the WAB in Grindelwald, and the Grund station is no longer "swamped". This increases the comfort of the ascent and descent. At the station, the overnight guest has the choice between boarding the WAB or riding with the BOB to the Grindelwald Terminal stop. 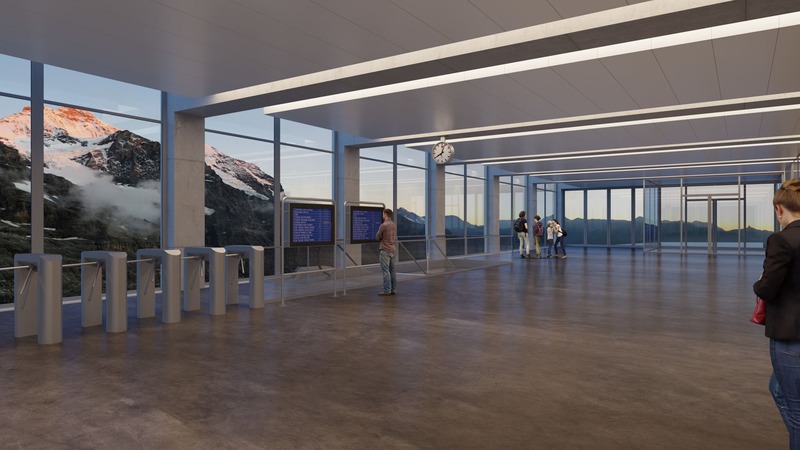 The new First Aerial Cableway bus terminal in Grindelwald Terminal offers a direct connection between the Grindelwald Terminal and the First Aerial Cableway. The holiday guest will experience a significant improvement in quality with the direct connection to the ski area. Transport to the Kleine Scheidegg ski resort and to the Jungfraujoch can be guaranteed even in difficult weather conditions such as a danger of avalanche. This enables certain weather-related service interruptions to be alleviated with the WAB. The holiday guest is able to complete the scheduled ski day/trip safely. The connection to popular hiking trails is significantly better and the accessibility options are improved. Kleine Scheidegg will be free of travellers to Jungfraujoch an become more attractive for day trippers and hikers. What does the V-Cableway hold in store for the future? With the V-Cableway project, prospects are created for generations to come in the Jungfrau region. The V-Cableway ensures the competitiveness of the Jungfraujoch and thus the future of a beacon of tourism for the Jungfrau region and all of Switzerland. The V-Cableway will bring a reduction in individual motorized traffic, resulting in less traffic on the road. The significantly improved access to public transport via the new BOB Rothenegg station disproportionately increases railway attractiveness. The shift to rail is the path of the future. The shorter travel times, the direct public transport connection, the new facilities, the new rolling stock and the terminal building with shops provide guests with more quality and comfort. The region thus remains competitive internationally in future. Through the decongestion of Grindelwald Grund, Lauterbrunnen and Kleine Scheidegg, quality is improved for individual guests. The decongestion of traffic increases the comfort for overnight guests and promotes the region's attractiveness as a holiday destination. 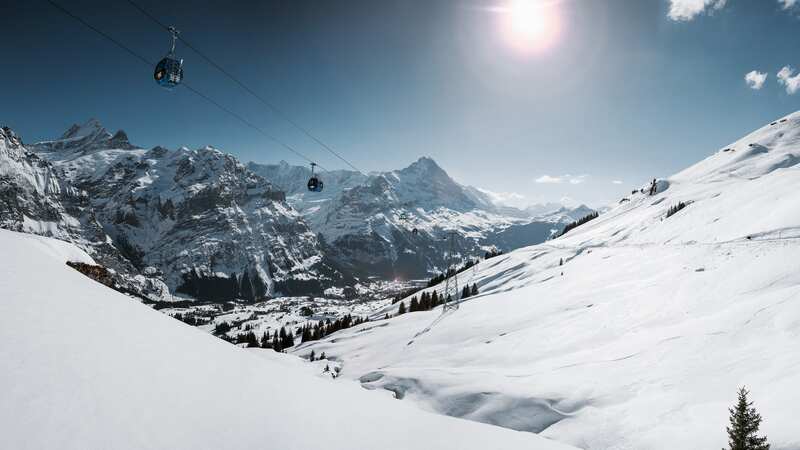 Grindelwald and the Jungfrau Region maintain and increase their appeal as a winter sports destination with short loading times, thrilling descents and the direct bus connection between both ski areas. The Jungfraujoch offering remains competitive. As a result, winter sport in Grindelwald and Wengen can be developed and the existence of the First Aerial Cableway can be protected at the same time. Will the parking problems be resolved? The direct connection of the V-Cableway to public transport and the increase in capacity of the new rolling stock at the Bernese Oberland Railway increase the attractiveness of the railway and ensure a shift in traffic from road to rail. The rapid connection between the central traffic points can be ensured. This is due to the new station Grindelwald Terminal on the Berner Oberland-Bahn with direct access to the terminal of the two planned railways. With the realisation of the V-Cableway project, in particular with the commissioning of the "Eigerexpress" tricable gondola, central junctions will be de-congested and long-term traffic and parking problems will be solved. This is sometimes ensured by a new parking garage and a constantly updated parking guidance system with real-time information. At the Terminal Grindelwald, the tricable gondola has direct access to a parking garage with around 1,000 parking spaces. What does the connection bring to public transport? 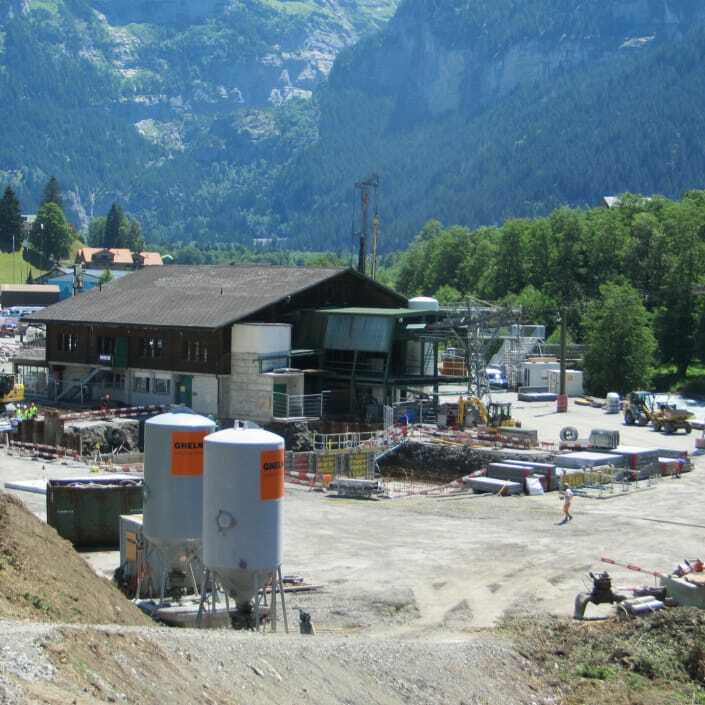 The new stop Terminal Grindelwald of the Berner Oberland-Bahn with the high capacity of the two cableways fundamentally changes the positioning and accessibility of the winter and summer sports area. The new stop Terminal Grindelwald of the Berner Oberland-Bahn massively increases the inspection capacity for public transport. This can counteract he competition and the loss of market shares through the Lötschberg Base Tunnel. Since its opening, the Valais has seen a marked increase in visitors due to the reduced travel time. By connecting the V-Cableway to public transport, the arrival times from major Swiss cities and the commuter areas are reduced significantly. Why a tricable gondola? What are the advantages of the tricable gondola technology? The railways have thoroughly discussed the available railway systems and how they are used for the layout of the line. The advantages of the tricable gondola technology are far superior for the Grindelwald Grund - Eigergletscher route. The tricable system combines all the advantages of the gondola and the aerial tramway, and it can be run across great lengths with a small number of support towers while still being very stable in the wind as a result of the double carrier cable. As a result, only seven route supports need to be created over the great length of the route, and the impact on nature and the landscape are minimal (no forest aisles required). The tricable system is the only cable car system which can meet the desired transport needs while still having minimal impact on nature. The tricable technology is significantly more expensive to purchase than an aerial tramway. The benefits in terms of reduced landscape interventions and operational needs show that these higher costs are justified. After the BAV issued planning permission for the V-Cableway on 31 May 2018, Pro Natura and the Swiss Foundation for Countryside Conservation signed a complaint waiver today, 8 June 2018. This means that nothing now stands in the way of the realisation of the V-Cableway project. After more than five years of planning, the V-Cableway is about to be built. The Swiss Federal Office of Transport (BAV) issued planning permission for the entire project yesterday, Thursday, 31 May 2018. 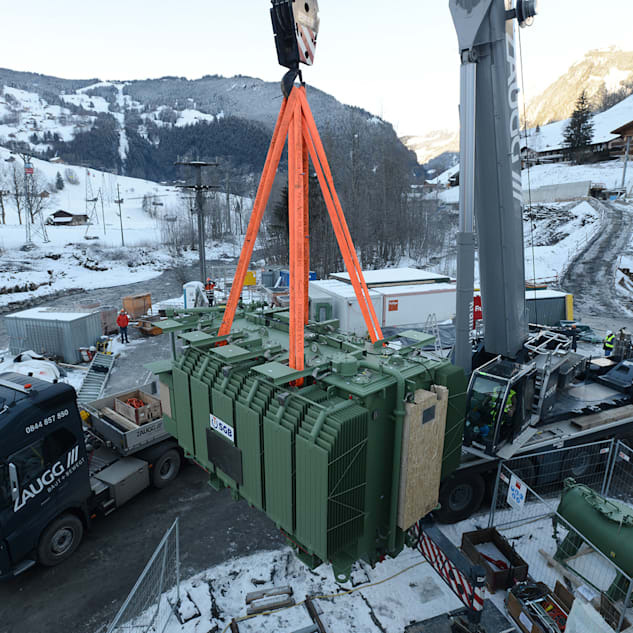 This will ensure the timely launch of the Grindelwald-Männlichen gondola cableway in December 2019. The tricable gondola Eigerexpress will be opened at the end of 2020. Jungfrau Railways and the last remaining objecting party have signed a joint agreement. The agreement provides for the withdrawal of the objection. After years of negotiations and personal discussions, Jungfrau Railways was able to find a solution for realising the V-Cableway project with the Kaufmann family. On 7 February 2018, the agreement jointly prepared by both parties was signed. 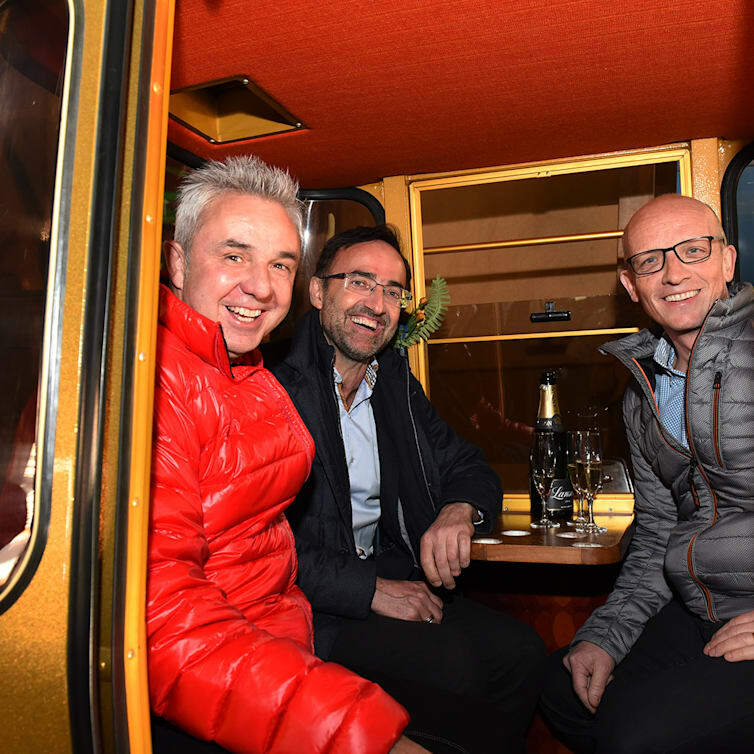 After years of negotiations and personal discussions, Jungfrau Railways was able to find a solution for realising the V-Cableway project with Scheidegg Hotels AG. On 17 October 2017, the agreement jointly prepared by both parties was signed. 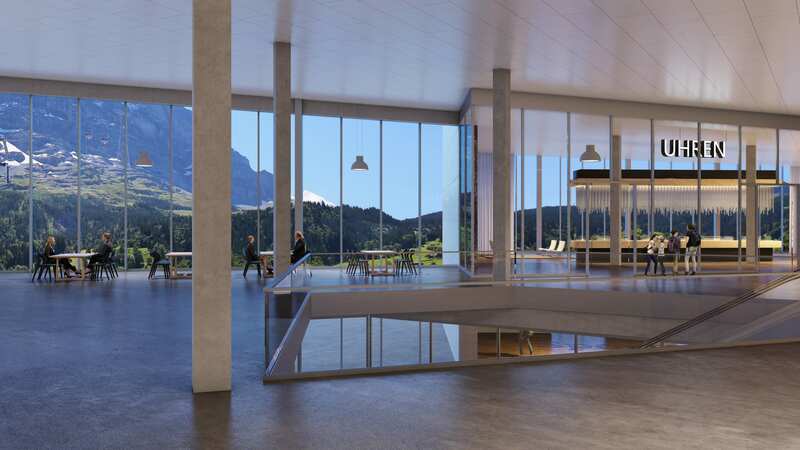 As part of the V-Cableway project, there will be a terminal in Grindelwald Grund with a direct public transport connection and car park. Grindelwald-Männlichen Gondola Cableway AG and Jungfrau Railways Holding AG have founded Grindelwald Grund Infrastruktur AG for the communal operation of buildings. Today, 22 April 2016, the founding documents were signed. 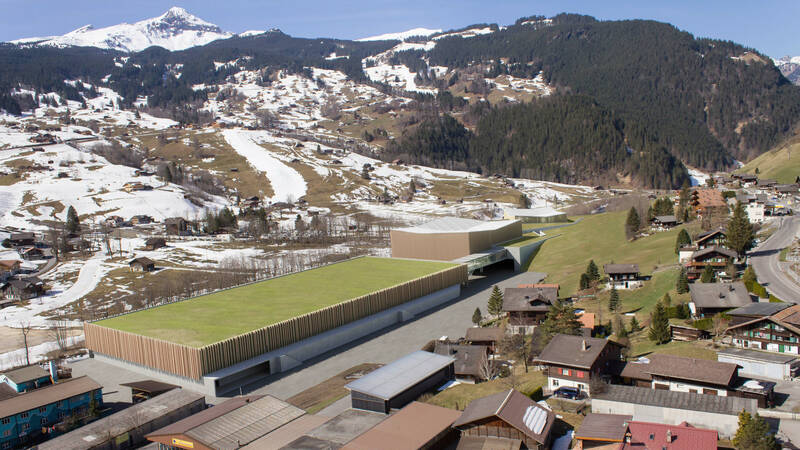 The V-Cableway Project exhibition begins on Wednesday, 4 June 2014 in the Grindelwald Sport Centre. 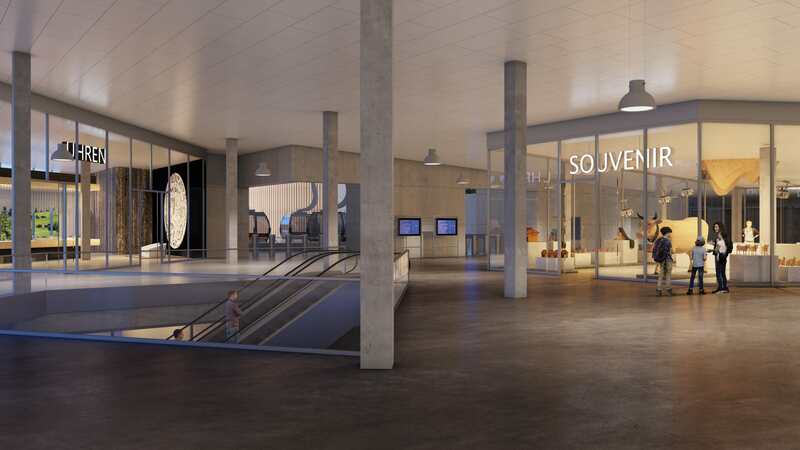 In order to provide information about the joint project between Grindelwald-Männlichen Gondola Cableway and Jungfrau Railways, it will be open to the public and all interested parties until the community vote in October 2014. The V-Cableway Project has a significant economic impact in the Jungfrau Region and in the Canton of Bern. 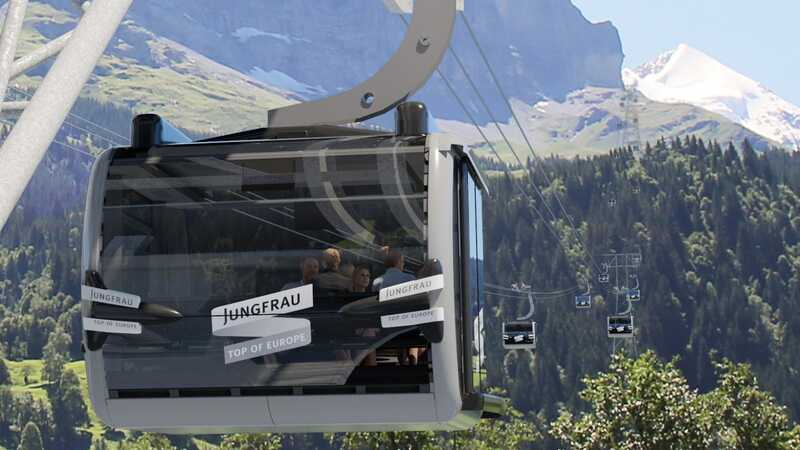 As part of the V-Cableway Project, an 8-seater gondola is planned from Grindelwald Grund to Männlichen and a tricable gondola to the Eiger Glacier. Two original-sized cabin exhibits have been in Grindelwald Grund since Wednesday, 5 February 2014. September 2013, the zoning plan adjustment required for the cooperation is issued. 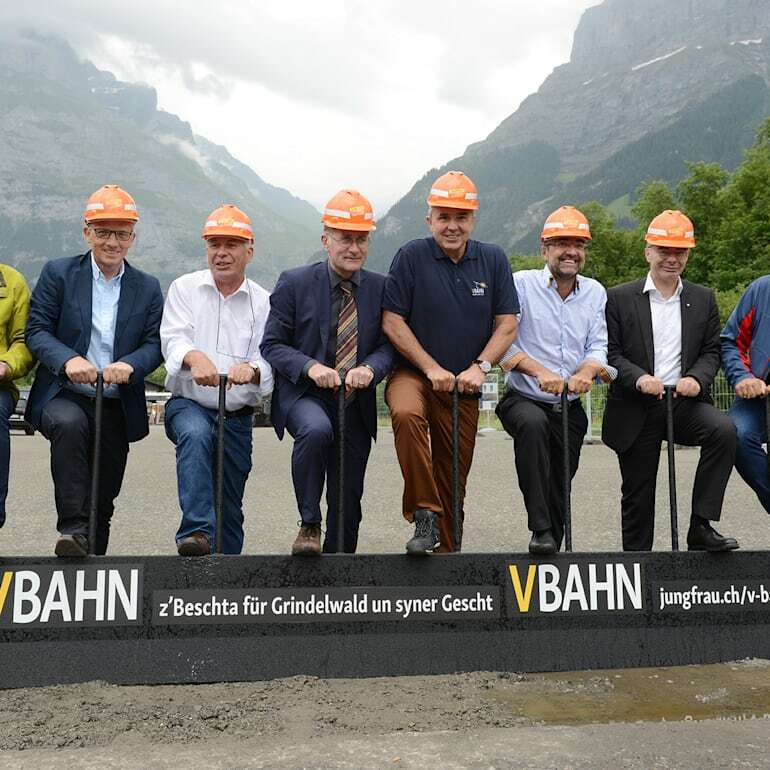 Press release Jungfrau Railways and Grindelwald-Männlichen Cable Railway: As part of the V-Cableway Project, Jungfrau Railways are planning a 3S tricable ropeway on the Eiger Glacier. On Thursday 8 August 2013, affected landowners were presented the routing of the line. Jungfrau Railways and the Grindelwald-Männlichen Cable Railway plan to jointly develop a V-Cableway that provides access to both the Männlichen and the Eigergletscher. The Y Project was cancelled in favour of the new railway.